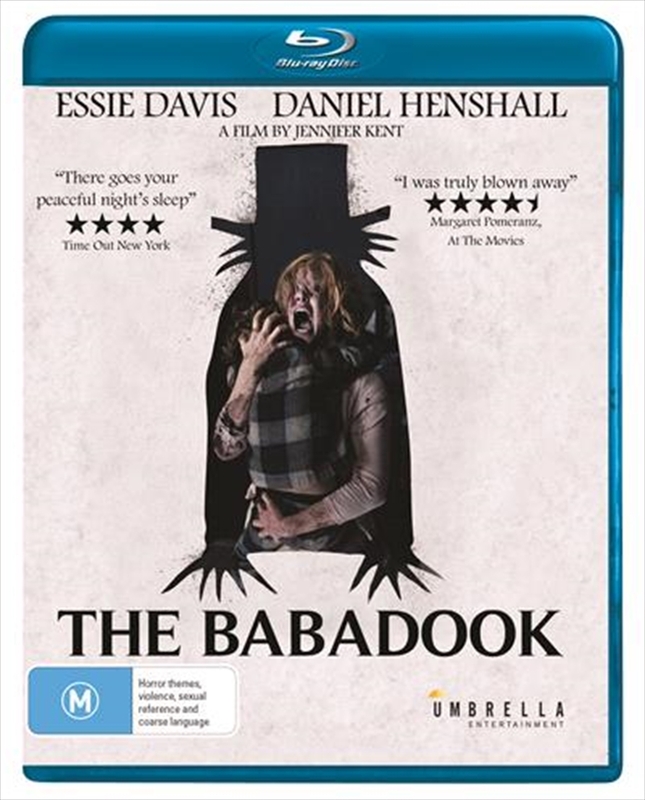 The Babadook Blu Ray- On Sale Now With Fast Shipping! Where there is imagination, there is darkness and from within that darkness lurks a being of unfathomable terror close to home. Amelia (AFI Award winner Essie Davis, Miss Fishers Murder Mysteries, The Slap) is a single mother plagued by the violent death of her husband. When a disturbing storybook called The Babadook turns up at her house she is forced to battle with her sons deep seated fear of a monster. Soon she discovers a sinister presence all around her A chilling tale of the unseen and otherworldly in the haunting tradition of The Conjuring and The Orphanage, Jennifer Kents visceral journey into the heart of fear itself is as terrifying as it is believable.